Colour Range - The Apex Group - Apex Steel, Building Products & Steel Supplies. All of the COLORBOND® steel’s colours have been inspired by the colours of Australia. With over 20 colours in the range, you can choose a colour that suits your home, or other building material choices. COLORBOND® Ultra Steel has been specifically designed by Bluescope Steel as part of its premium range to resist against severe industrial and coastal environments, where steel corrosion is most common. Please note: Colours illustrated are matched as closely as modern printing processes allow. Please contact our sales office for a colour sample. 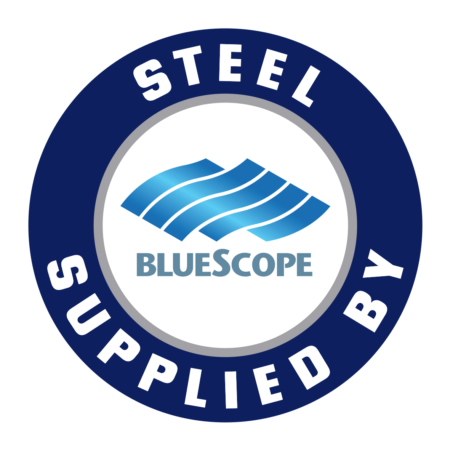 Colour names are registered trademarks of Bluescope Steel Limited. U Also available in COLORBOND® Ultra steel for coastal and industrial environments. All other colours are available in COLORBOND® Ultra steel on request, please speak with your supplier. ADVERSE CONDITIONS If material is to be used within 1km of salt marine, industrial or corrosive environments please contact our Apex sales staff. LENGTHS/TRANSPORT Apex Steel can custom cut lengths to your requirements. Due to transport restrictions it is advisable to check with our office the maximum length. HANDLING Care should be taken at all times when handling Corrugated. Packs must be kept dry and stored above ground level, should the sheets become wet separate immediately and individually wipe and place in an area to dry. The edges of roofing and walling sheets can be sharp. Apex recommends the use of suitable cut resistant gloves when handling roof and wall sheeting. CUTTING Apex Steel provides this service, however sheets may be cut using a power saw with a metal cutting blade. COLORBOND® steel sheeting must be cut with the coloured surface facing the ground. Ensure that no hot particles or debris come into contact with the COLORBOND® Steel. Ensure that no hot particles or debris come into contact with the COLORBOND® Steel. CLEAN UP To prevent premature corrosion at the completion of each day ensure the sheeting area is cleared of all debris, including nails, rivets, rags and all cutting or drilling filings. WALKING Clean soft soled shoes should be worn when walking on sheets. DELIVERY Apex Steel delivers to site within 1 to 2 days. To prevent any damage we require suitable arrangements to be made for unloading. Unloading by crane, ensure the load is evenly spread, if crane unavailable adequate manpower is required. COMPATABILITY ZINCALUME® and COLORBOND® Steel steel sheeting is compatible with most roofing products. It is not recommended to use lead flashing/nails, copper or copper alloy materials with or in run-off situations. MATERIALS Both ZINCALUME® Steel and COLORBOND® Steel has a G550 base material (550 Mpa minimum yield stress) with a AZ150 coating, in accordance with AS1397. STORAGE Care must be taken at all times when storing packs of sheeting, packs must be kept dry.